Every year we head down to 30A for a week long trip of Americana fun. One of the things we love about that area of the world is the smaller beaches that have some of our favorite dive bars and shops. That's why the 30A Communities print by Our 30A made it as a part of my beach goer gift guide. It's a great way to commemorate your vacations to the beautiful emerald coast. 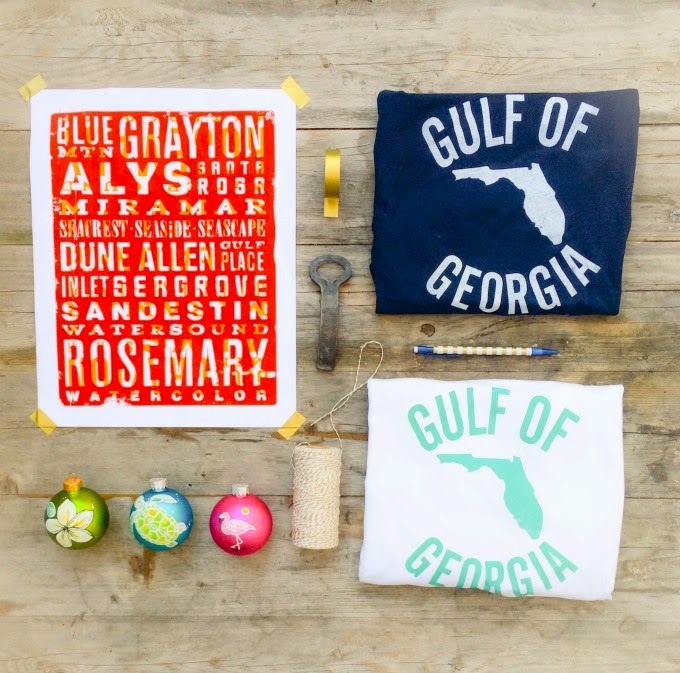 Our 30A also features tees and other gifts specifically created for vacationers who are ambassadors to the SoWa area. 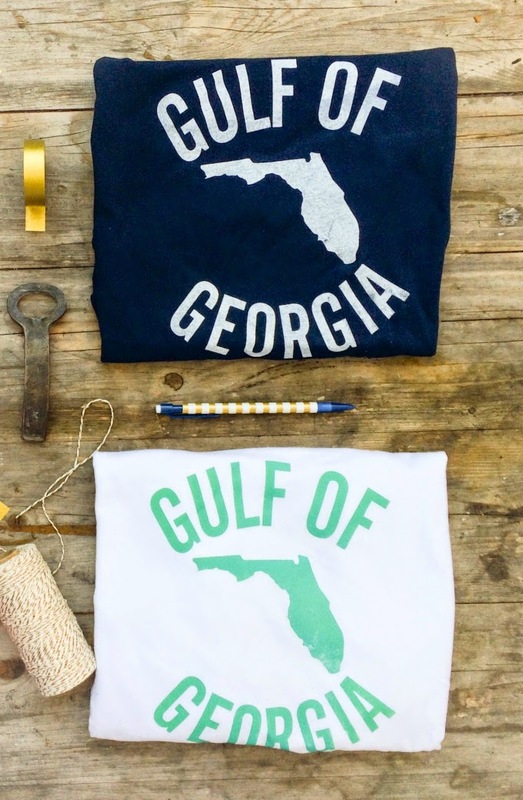 I am loving their newest ambassador tee shirt line which showcases the phrase "Gulf of ______" based on your home state! Even if your giftee heads to other parts of the Gulf of Mexico to vacation, this tee still fits the frozen drink bill. 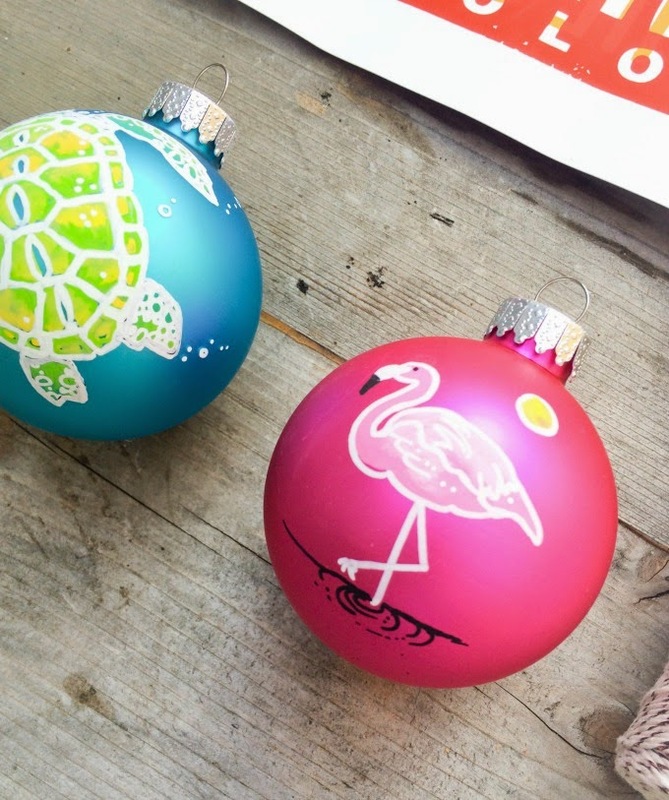 If you're not exactly a 30A vacationer, but have a beach bathing beauty on your list, definitely consider gifting her these beautiful hand painted sea creature ornaments by Ocean Junky Art. 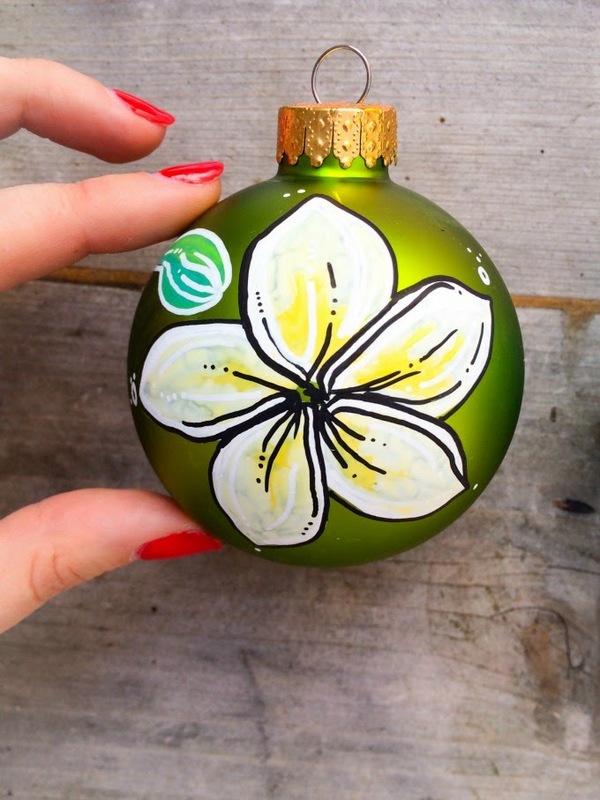 Ashley, the artist behind these ornaments, just so happens to be my college roommate and one heck of a talented painter. 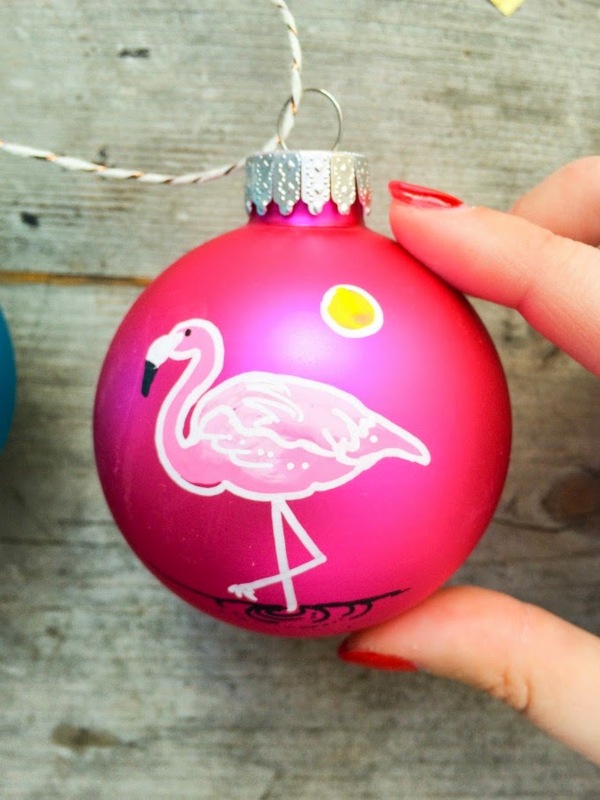 She created this set (including the flamingo) especially for me, but a set of four ornaments runs between $35 and $40. A steal to say the least. The colors are bright and the details exquisite. Plus they look absolutely stunning on the tree! I love the idea of dreaming of white sands in a winter wonderland, don't you?! Stay tuned! More small business gift guides are headed your way soon. I can't wait!